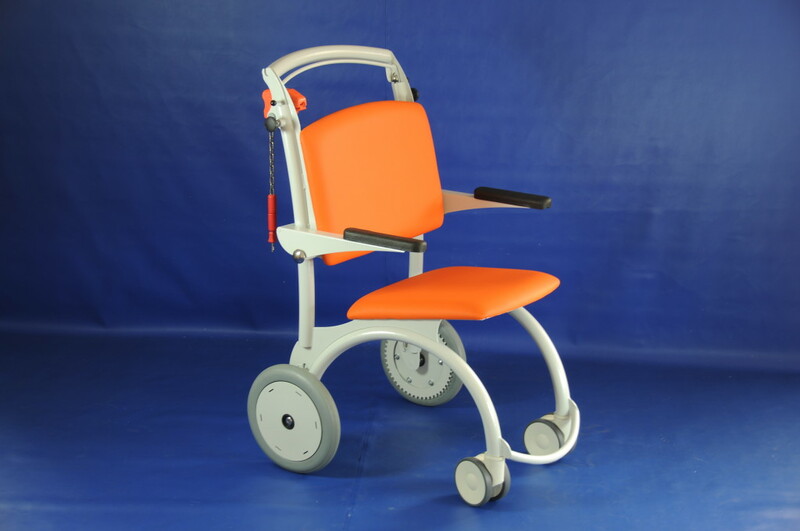 Stackable design effectively solve the movement of handicapped persons , not only in hospitals but also in airports , arenas , shopping centers and cultural facilities . Thanks to the unique design each additional truck parked on only 38 % of the first trolley . 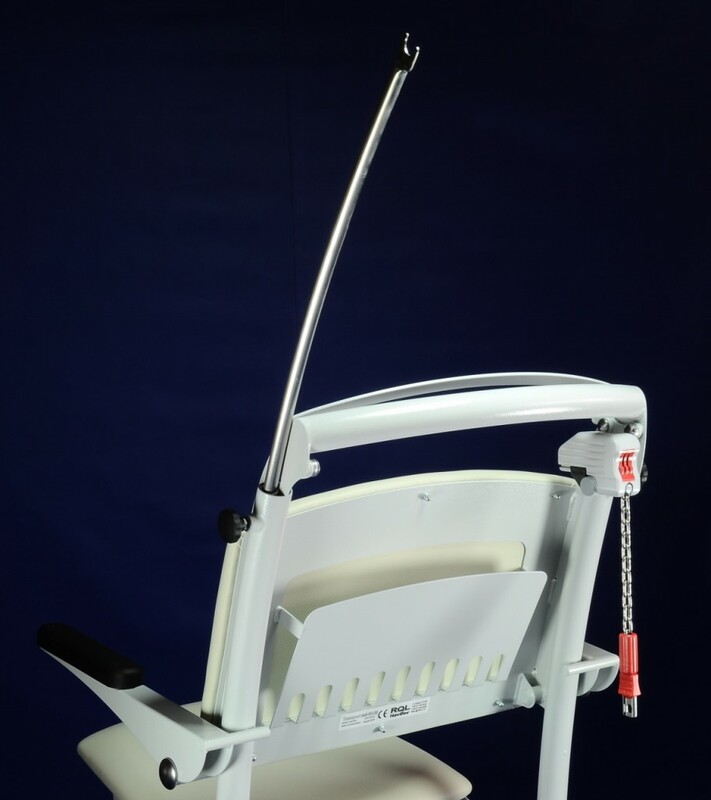 The trolley can be mounted by backup machine for the coin , which helps return the trolley back into the rack . The parking stand is provided with an information plate. Comfortably upholstered seat with a slight negative and back with ergonomic shape , size and height for maximum patient comfort and easy operation of all functions. 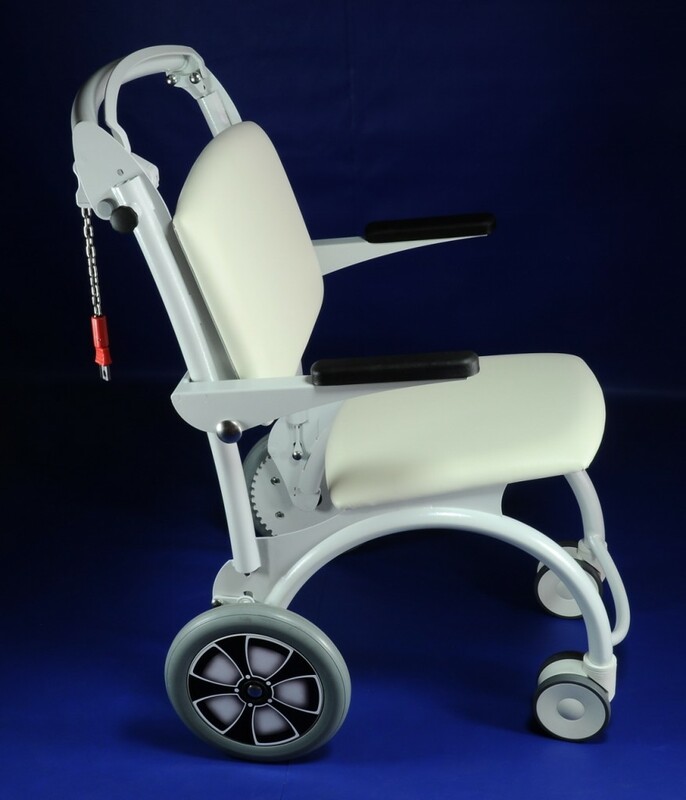 Despite compactness truck and comfort the person being transported is very stable in all positions. 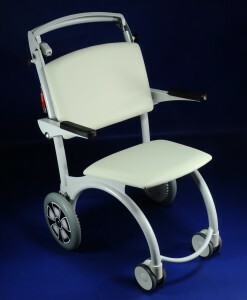 Upholstery and metal structure of trolley can be easily cleaned with a detergent. 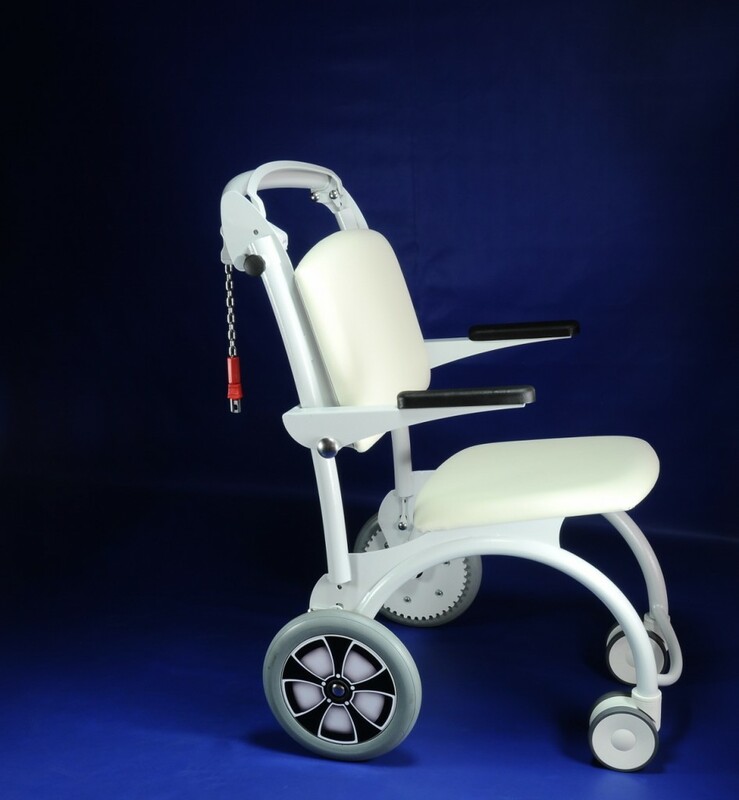 Quality branded wheels with increased load capacity, front swivels Ø 125 mm, rear Ø 300 mm with automatic brake lock for maximum security of transported person. 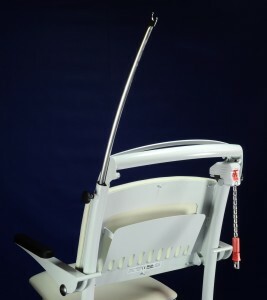 Without pressing operation handles the chair itself automatically brakes ! 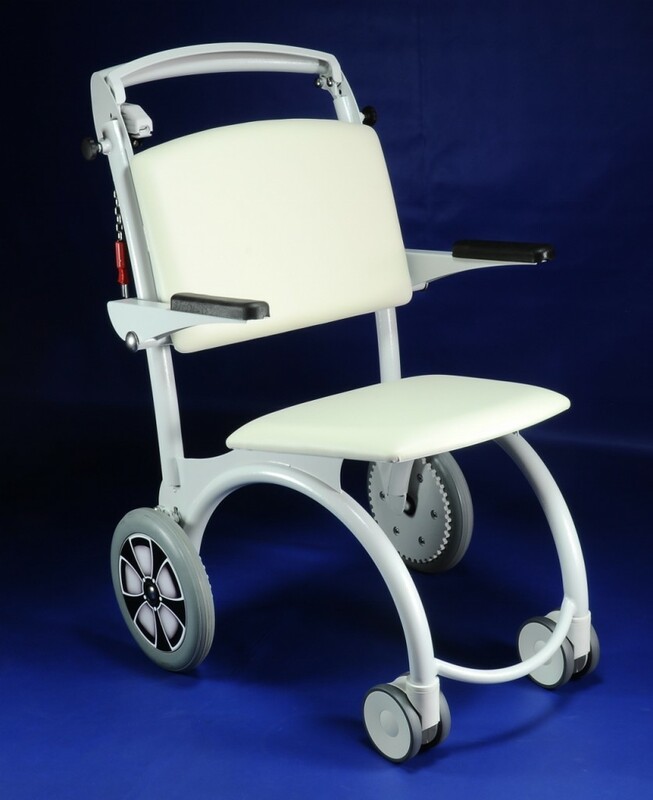 Each trolley has shelf for documents, ergonomic handle with optimum height, solid foot support for transported person, without folding and unfolding at embarkation or disembarkation . 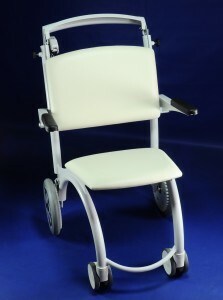 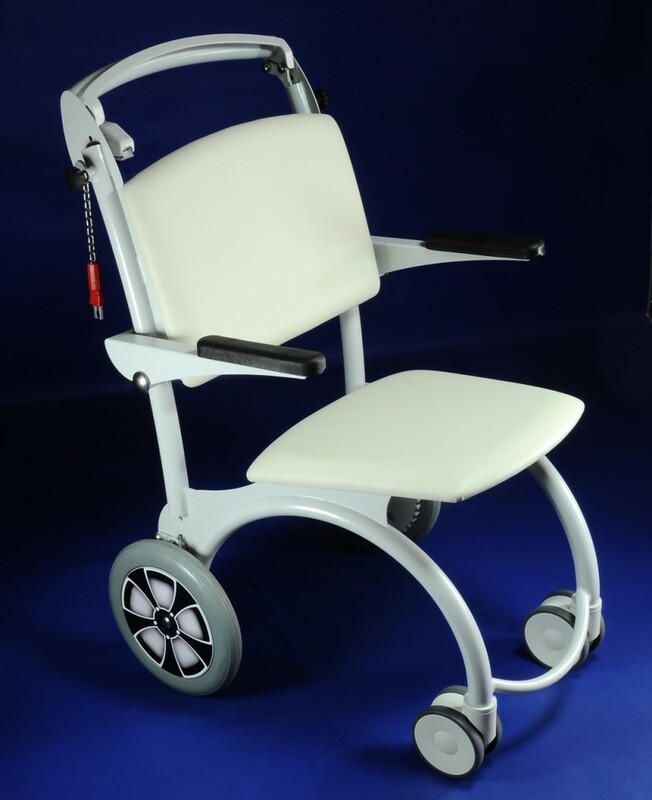 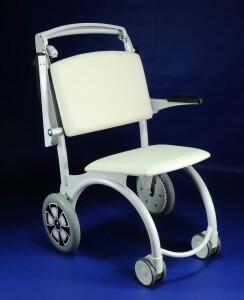 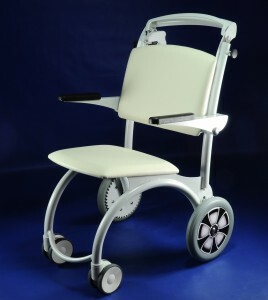 The side handles make it easy to transfer a patient from a wheelchair or bed. Infusion holder , fastening strap and storage basket under the seat can be added as as accesories. 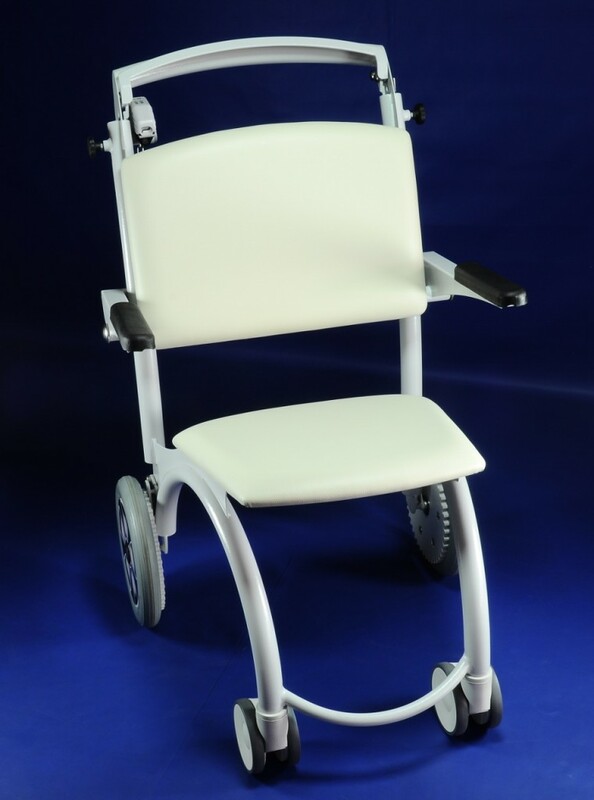 Clearance profile 680 mm provides a convenient passage to door 70 cm . Standard weight capacity is 150 kg, a modified version of GOLEM TZ EXTRA is adapted for persons weighing up to 220 kg!